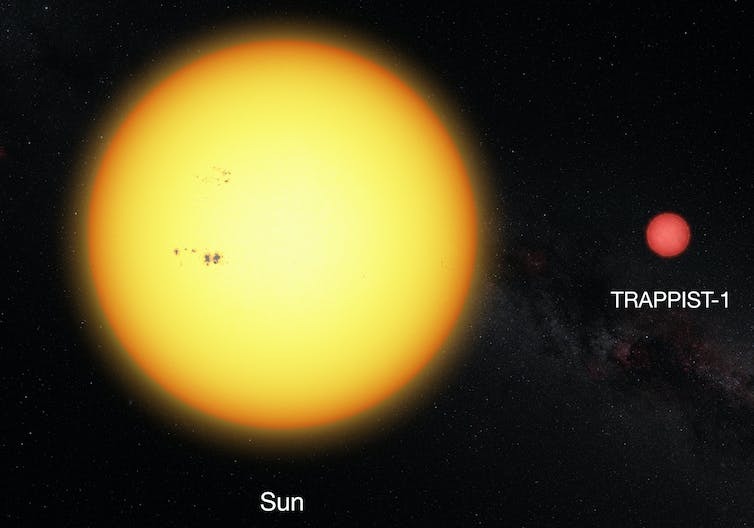 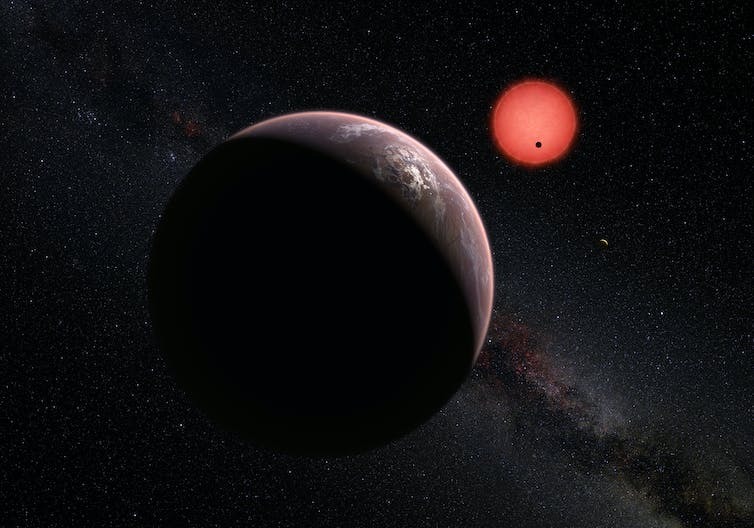 TRAPPIST-1 is a tiny ultracool red dwarf, far smaller than the Sun. 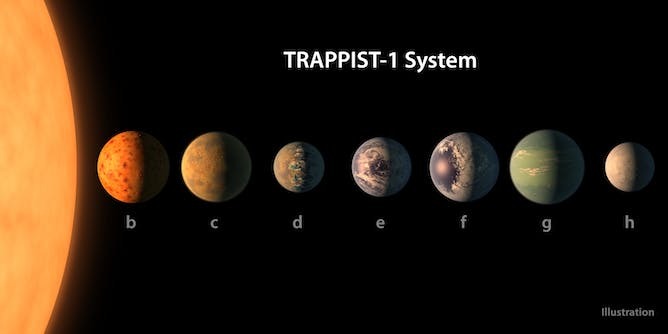 An artist’s impression of the three planets discovered orbiting TRAPPIST-1 in May 2016. An artist’s conception shows what the TRAPPIST-1 planetary system may look like. The seven planets of TRAPPIST-1 with their orbital periods, distances from their star, radii and masses as compared to those of Earth. 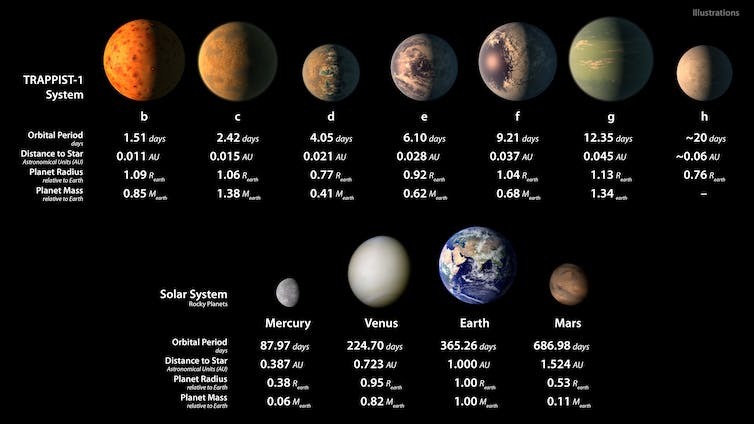 The bottom row shows data about Mercury, Venus, Earth and Mars.